The political future of the United Kingdom has once again been thrown into uncertainty after Parliament voted against accepting Theresa May’s Brexit deal. The lead-up to the vote saw the Prime Minister Theresa May’s deal criticized by politicians and pundits on all sides of the political spectrum. Some critics argued that May’s deal means that the United Kingdom (U.K.) will be too closely tied to the European Union (EU) for the indefinite future. Others suggest that the deal will damage the economy and lead to job losses. (Olivier Hoslet/Pool Photo via AP) EU heads of state attend a round table meeting at an EU summit in Brussels, Nov. 25, 2018. 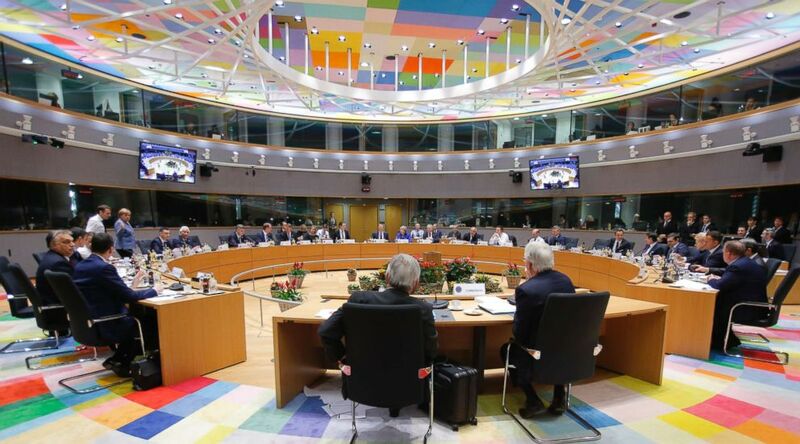 European Union leaders are gathering to seal an agreement on Britain's departure from the bloc next year. And in the end Members of Parliament (MPs) voted down the deal, with the final tally 432 against while only 202 voted in favor of the deal. This means the deal was defeated with a majority of 230 against. 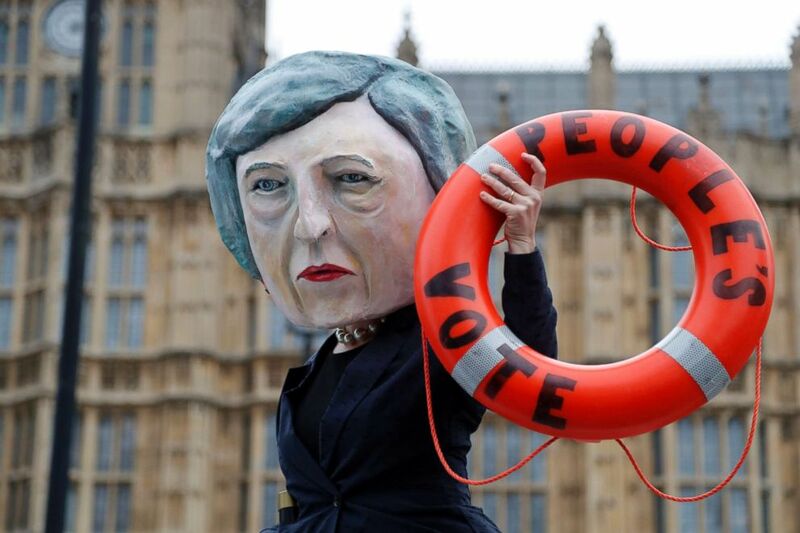 (Frank Augstein/AP) An activist from Avaaz wears a mask of Britain's Prime Minister Theresa May as Pro-European demonstrators protest opposite the Houses of Parliament in London, Jan. 15, 2019. While the future relationship between the U.K. and EU remains unclear, the prime minister did say in a statement posted to Facebook on Sunday that if she lost the vote the U.K. could end up remaining in the EU, or end up crashing out without a deal. 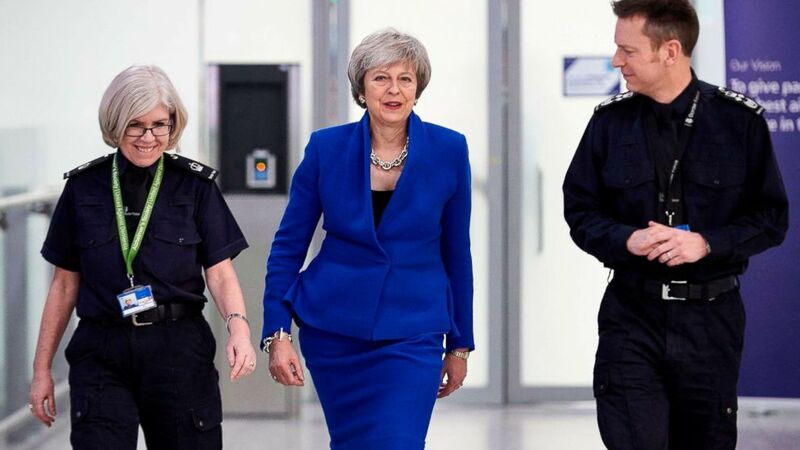 (Pool via AFP/Getty Images) Britain's Prime Minister Theresa May talks with UK Border Force officers as she visits their Command Centre during her visit to Terminal 5 at London Heathrow Airport in west London on Dec. 19, 2018. The future now looks desperately uncertain, as the March 29 deadline for leaving the EU looms ever closer. If Parliament does not come together and back this deal in our national interest, we risk leaving with no deal, with all the uncertainty for jobs and security that will bring. Or, with MPs unwilling to face the uncertainty of no deal and with no other offer on the table, we will risk not leaving the European Union at all. The U.K. voted in June 2016 to leave the EU by a slim margin of 52 to 48 percent. The outcome immediately sent shockwaves worldwide, as no country has ever decided to leave the bloc. During the 2016 referendum campaign a number of potential scenarios were advocated by “Leave” campaigners, though the exact terms of Brexit were not specified. May spent two years negotiating with EU leaders in Brussels, but faced heavy criticism when she finally brought her proposals back to Parliament last summer. A vote on the deal was originally intended to take place in December, but as it became increasingly clear that MPs were opposed to the deal, May delayed it. After losing Tuesday’s vote, a parliamentary motion passed last week means the government will have to make a statement on the future of Brexit to MPs within three days. Now, no one knows for sure what will happen next. 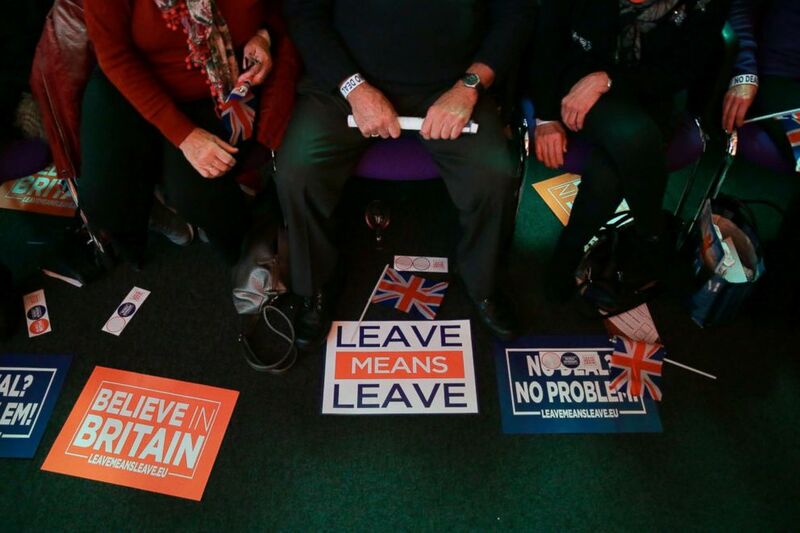 (Daniel Leal-Olivas/AFP/Getty Images) A picture shows Union flags, stickers and banners with slogans as campaign materials at a political rally organised by the pro-Brexit Leave Means Leave group in central London on Dec. 14, 2018. The opposition Labour Party has now called a no-confidence motion in the government. If the government loses that no confidence vote, the prime minister will have to resign, which could trigger a general election. Other campaigners and MPs, meanwhile, have called for a second referendum to break the political deadlock, which could result in Britain remaining in the European Union. Equally, the U.K. could either try to delay Brexit while they renegotiate another deal with EU leaders, or even leave the EU on the March 29 deadline with a “no-deal” Brexit. 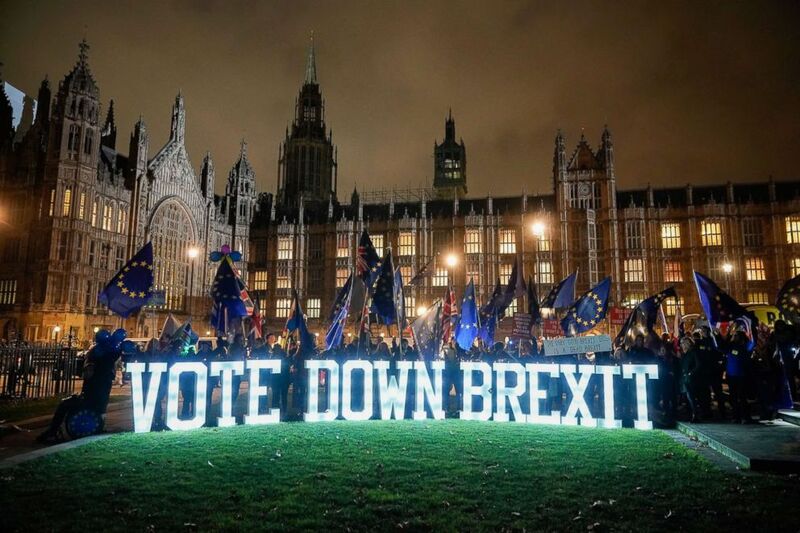 (Christopher Furlong/Getty Images) Anti-Brexit protesters use illuminated signs as they demonstrate with placards outside the Houses of Parliament, Westminster on Dec. 10, 2018 in London. Our position is unequivocally that we’re seeking to make sure we do get a deal but that there is a precautionary contingency plan for no-deal. In December, ABC News spoke to senior government minister Amber Rudd, the secretary of state for work and pensions, who said that the government had been making preparations in recent months for the event of a “no-deal” Brexit.